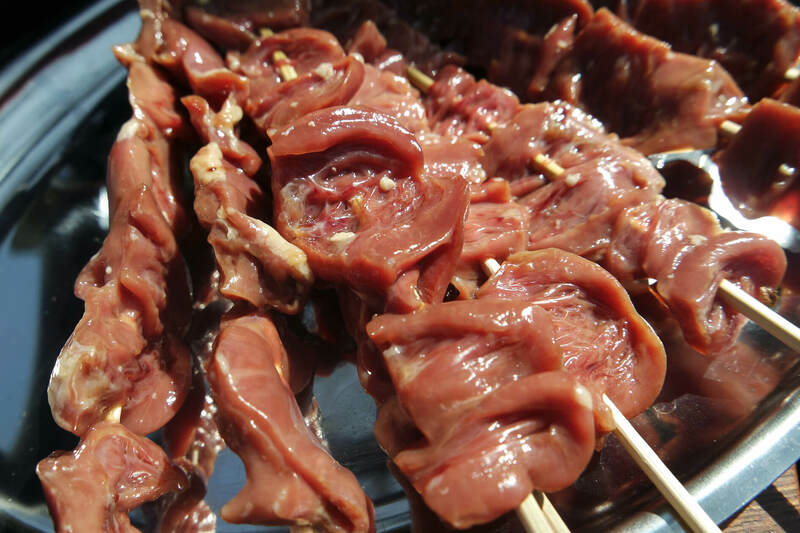 Conquer your fear of the weird parts: chicken hearts are tasty little morsels that are perfect for char-grilling. Let me give you a tip for dealing with a carnivore around Valentines Day – skip the teddy bear and the chocolates. Well, maybe keep the chocolates but save them for later. If you really want to show you care, do it through the medium of meat! Ok ok, I concede, ol’ Val Day is a hallmark invention that creates yet another calendar date to open wallets, and makes single people everywhere feel awful. Though, the sentiment of taking time out to holler at the people you care about it’s a bad one! 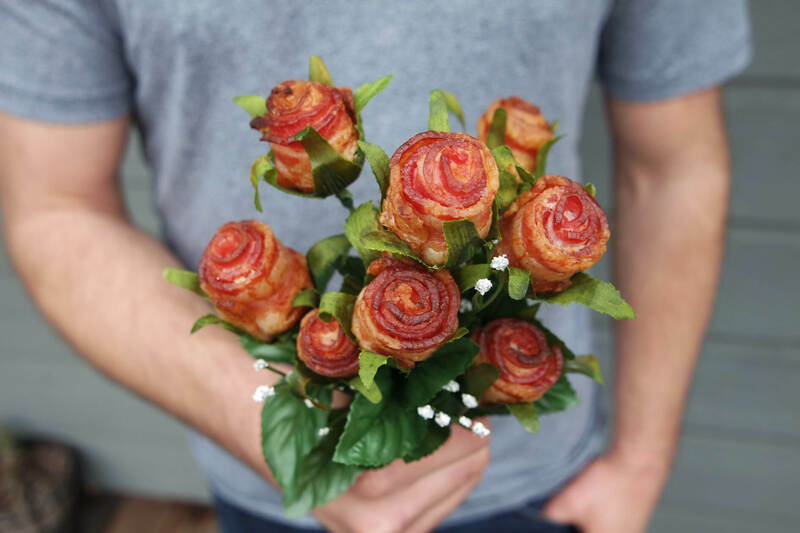 So, instead of the typical and predictable Val Day activities, I try to come up with crafty, meat-based DIY goodies. This year I thought it would be fun to be more literal, and what symbol is more synonymous with love that the heart? Instead of the emoji, I’m taking it back to the real deal: animal hearts, or more precisely, chicken hearts. Before you recoil in horror – I am not a huge fan of offal. You won’t find me snacking on tripe or sweetbreads. Though the heart is an organ, it’s also just a giant muscle. Taste-wise, it’s simply a more flavorful version of chicken meat, albeit tougher. And good news for cheap dates – chicken hearts are roughly $1.30 per pound. While you will have to fiddle a little to clean them up and filet them out, that means your protein costs are even less than a drive-thru burger. So you can participate in a grand display of affection AND be frugal at the same time. Win. Win. I chose the classic Japanese yakitori preparation for my chicken hearts. Once cleaned and prepared, the hearts are then thread onto skewers and basted with sweet teriyaki sauce before being seared over coals. Even the most picky of eaters will not be able to identify these tasty bites as anything other than overly-chewy meatsicles. Start by preparing the chicken hearts. Trim any veins/arteries and remove any blood clots. Slice each heart lengthwise, cutting 3/4 of the way through to open it up so it lays flat. If you find clots upon slicing, just rinse under water. Place prepared hearts in a dish with 1/2 cup teriyaki, and allow to marinade 30-60 minutes. Light a grill to medium high heat. Remove the hearts from the marinade. Thread a heart onto the skewer, trying to keep the skewer as centered as possible within the meat. Repeat process until you have 4 hearts on each skewer, then repeat until all skewers are formed. Place the remaining teriyaki sauce in a small bowl. Use a microplane or fine grater to grate the fresh ginger into the bowl. Lay each skewer onto the grill, then brush immediately with the teriyaki/ginger mix. After 2-3 minutes, flip the skewers and baste them again. Cook a further 2-3 minutes. Flip over a final time, baste again then remove the skewers from the heat before the basting glaze has dried. Sprinkle with chopped scallions and sesame seeds, and serve immediately.